Paid DLC and Pay To Win: Are Gamers To Blame? What Are DLC And Pay To Win? Firstly, I will explain the above to the uninitiated DLC is downloadable content. These are additional features that are not available with a game when you first purchase it. An example of this would be additional side quests outside of a games main story. 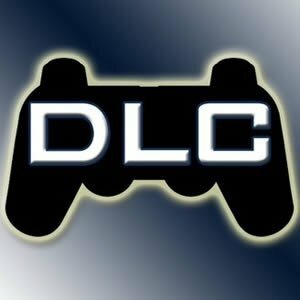 Pay to win – like DLC is additional content that is not available with a standard game. By purchasing these items gamers are often given an advantage over their opponents. An example of this would be Loot packs in Fifa Ultimate Team. Where gamers can get better players for their squads by purchasing random packs online. The use of DLC and Pay To Win is not a new concept. However, it has grown exponentially over the last decade. This article will analyse why this has come about. How Have Gamers Influenced The Rise Of DLC And Pay To Win? Having grown up in a time when Runescape (the online multiplayer game) was all the rage. It became clear that if you were to develop the best character then you would need to be able to complete all of the Quests. Many Quests could not be accessed without a paid membership and so many of my classmates would torture their parents until they got their RuneScape subscriptions. It did not stop there though, they would also buy accounts from other players or purchase online currency to buy the best armour and weapons etc. This to me what the first time that I had seen games that were incomplete without further purchases being made. As much as I loved RuneScape as a child; it became abundantly clear that gaming was becoming about who’s parents had the deepest pockets and not just about those with the sweetest skills. This has gone even further today with games such as Fortnite where players can buy ‘skins’ to change a characters appearance and they can also purchase dance moves to further customise their character. I guess that this is not unlike our long time passion for customising cars and clothes. Heck, I’ve even seen the rise of gamers customising Retro Consoles (keep it up by the way guys, some of the artwork I’ve seen recently is stunning!). It is clear that players have the passion to win and an ingrained human desire to be individual. This has encouraged and allowed the major gaming companies create a product that we effectively pay for twice to enjoy to its full extent. The fact of the matter is that we the gamers are willing to pay the money. It is our own desire to win and our hunger for individuality that enable the companies to produce content in this way. However, just because they can doesn’t always mean that they should. Is The Gaming Industry At Fault? It could be argued that these companies have a moral duty to protect gamers from themselves. Nations such as Belgium and The Netherlands have placed bans on the uses of loot boxes as they deem them to be forms of gambling. Maybe this shows that the burden of blame for growth of Pay To Win lies with the gaming companies and not the gamers. However, none of this would exist without there being the demand from the gaming community. Maybe It’s Not So bad? Although many older gamers are not used to this change in gaming. It does not necessarily mean that it is bad. It seems that the more money that we put into the gaming industry. The more opportunities are opening up for gamers across the spectrum. Many of whom have been able to create careers out of the Industry. Without the huge growth in revenue in the Gaming Industry. Would we be witnessing the growth of Twitch? Or the ever growing Esports tournaments? Without the likes of FUT would we be witnessing top Clubs like PSG and Chelsea signing Gamers to their ranks? Maybe Gamers are to blame for the rise of DLC and Pay To Win. But as long as they are willing to continue to pay the money, let’s hope to see further growth in the industry as a result.